We've been reading and thinking a lot about this recently. Drawing an absolute conclusion from the incredible amount of data that is pouring in is a bit like trying to put a saddle on a galloping horse. But we can pretty safely say the cliché Mum of yesteryear is no longer. We can't afford to market to her like we did 10, or even 5 years ago. And since we're talking about the person who controls up to 85% of household incomes here, we'd all better sit up and take notice. It affects marketing in general and, from our point of view, catalogues in particular - more about that later. So, here are a few thoughts we've put together on what is happening in the marketing to Mums arena. Ketchum Research, in its new study, reports, a "seismic shift" in households worldwide. Not just in the US, but in all 4 countries they surveyed. The shift they refer to is as a result of women earning more. Nearly half of those surveyed in the Marketing to Moms study are the primary or equal breadwinners in their family. This new financial paradigm is changing women's health, relationships and attitudes. The bad news is the married women surveyed are under more stress and are even more time starved than they used to be. The good news is things are changing to catch up to her new circumstances and, perhaps fortuitously, technology has come along to help out. Referring to a study by UK agency Saatchi and Saatchi, ITV director Sarah Speake says: "As a rule, Mums tend to be lumped together as one homogeneous group, which inevitably doesn't resonate with us at all. Whether we're a stay-at-home Mum, single Mum, working Mum, married Mum, Mum of younger or older children, we all have fundamentally different requirements to make our lives easier and enable a connection or relationship. Brands that acknowledge these differences resonate better - where both the commonality of adoration of our children, and our differences as individuals, are recognised." So, a common denominator is that while they all love their kids, they expect to be treated as individuals. They expect it because they are now experiencing it via Facebook, Pinterest and blogs that they now turn to for information and advice - perhaps in the same way as previous generations used to with their Mums on the phone. Online time for many women is "me time". 39% report that it is the most peaceful part of their day. But, breadwinning Moms/Mums aren't feeling any more in control of their destiny, nor has their career given them any greater sense of purpose. In fact, their health, sleep and eating patterns tend to suffer. 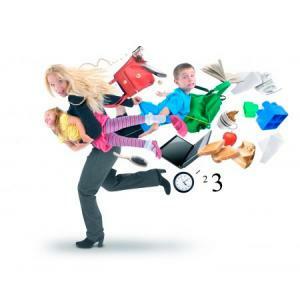 Blogger Katie Petrillo predicts "In recent years brands and agencies have emphasized helping Moms with their families. In 2014, we'll see them shift towards helping her look for ways to recharge, relax and enjoy time by herself." Similarly, catalogues now play an important role in directing women to specific websites (67% of online search is driven by offline messages). Women, specially affluent women, love catalogues and often find their way to a website as a result of reading a catalogue. These days, we are creating more and more catalogues with content-rich, engaging presentations, giving the reader a lot more information than just product features and price. We're also creating digital catalogues (which clients can email personally to their database) that feature the engaging functionality of a bespoke app without the high price tag. Digital and hard copy working together as separate but complementary touchpoints on the path to purchase. Today's Mums are different. They don't expect to be perfect Mums. Parenting is something they share with partners. Women are saying that they are not relating to the women they see in advertising. As marketers, we may not seriously be able to give them back or save them the time that this new paradigm has stolen away. Nor do we think she expects that from marketers. But perhaps by recognising her as an individual, and presenting products in a less cliché fashion than we have done in the past, we'll earn Mum's respect and perhaps even her custom.